In September 1846, Sir Thomas Mitchell was the first recorded white man to explore the Barcoo River. While exploring the Barcoo River he reached the Alice River which later became the southern part of the Barcaldine Shire. 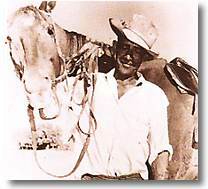 Mitchell named the Alice River and as a result Mitchell's name was adopted for the pastoral district and for its famous grass - Mitchell grass. In October 1863, Donald Cameron, his son John and James and William Crombie walked sheep from the New England district of New South Wales and pastured them along a forty mile frontage of the Alice River. They called their homestead block Barcaldine after a family property in Scotland. The government passed a new Land Act in 1884, under which all blocks were to be property surveyed and leases consolidated into registered holdings in which payment of rent could be enforced. Under its provisions each large property lost a portion of land which was resumed for closer settlement. 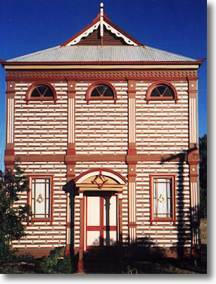 The work took time and in the Barcaldine area, consolidation coincided with the birth of the town in 1886.